Blog How Long Does it Take to Biodegrade? 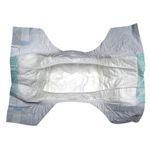 I talk a lot about biodegradable items, biodegradable soaps, and even biodegradable diaper services, but what does ‘biodegrade’ even mean? In our effort to keep from burying ourselves in trash and waste since we are still very much a ‘disposable’ society, how can we reduce our impacts (other than the obvious re-use of materials?) By making everything biodegradable! Bio-degradation happens to just about everything on the planet to some degree, so lets put things into context, shall we? I’ve collected information on many of the most commonly used items, including so called biodegradable items to really put things in perspective. There is now a certification process for products to be able to claim that they are biodegradable. The ASTM states that compostable plastics (ASTM D6400) and compostable packaging (ASTM D6868) be able to fully degrade within 180 days, however, most testing is done using industrial composters which does not mimic real world composting or disposal and certainly not landfills. 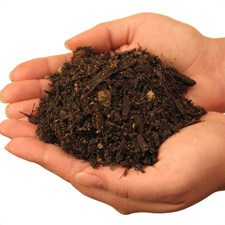 Of course backyard composting times can vary with moisture control, rotating, shredding, and the introduction of organisms so these times can vary. *You are probably wondering why the bio-degradation timeline for landfills is always ‘Never’, this is because that is the way landfills are designed. Contrary to popular believe, landfills are built to prevent items from biodegrading to keep from contaminating groundwater, releasing methane gas, and causing unstable soil conditions. In fact they are built in a way that promotes the mummification of our trash much like the Egyptians preserved their pharaohs. While one should ‘never say never’, in this case, lets just say it will last a much longer time than you would imagine, or want. Biodegradation is as you mentioned an extremely important aspect in reducing waste pollution. I would like to add that many of the items you mentioned are going to end up in a landfill. Products made from PLA (Plant starch plastics) for proper disposal, must be processed in a commercial composting facility. They will not compost in a back yard composter. The problem is that there aren’t that many commercial composting sites and many of them don’t want PLA plastics. The end result is that PLA is going to end up in a landfill where it will languish right along with traditional plastics. There are better alternatives, biodegradable plastic that biodegrades in the anaerobic or aerobic environment of a landfill and can be recycled. PLA is not going to be a popular recyclers as PLA plastic cannot be mixed in with other plastic during the recycling process. There are no easy answers but I believe that producers of products must be held accountable for the products/packaging they produce. All products must be designed to be cradle to cradle. A product must be designed to be used, reused, recycled, and when the life of the product is over, the resources used to make that product can be reclaimed. Nice post! This reminded me of a project I heard about a few years back, the Tuscon Garbage Project by Dr. Bill Rathje, now at Stanford. He has been excavating landfills in Tuscon and other cities to gather data since the ’70s. It started out as more of a sociology experiment, but has since gained relevance in conservation circles as well. For instance, Rathje found that the #1 item by volume in landfills was paper… like newsprint and copier paper. Close to 40 years of data hold a wealth of information, much of it counterintuitive. An example cited by a TreeHugger blog back in 2005 is that hazardous waste collection days actually increase the amount of hazardous materials being dumped into landfills due to raising awareness about dangerous substances in homes. I haven’t been able to find any recent articles or updates on the project, so I don’t know if it’s still going on, but I would love to see a post about it if you find anything, especially if they are starting to uncover these new biodegradable containers. This was very insightful and helpful. Thanks for posting. It is not true that things like apple cores and paper cups will not biodegrade in the average landfill. The elevated temperature and outgassing of methane and carbon dioxide are proof that there is a great deal of biodegradation taking place in landfills. We sell additives to be mixed with the plastic that goes into disposable items such as films, disposable cutlery, etc., that causes them to biodegrade in landfills. See: earthnurture.com. About the only place where landfills are not highly biologically active are deserts. The fact that you can make beef jerky, however, does not prove that beef is not biodegradable. Polyprop, or Polypropylene takes hundreds of years to degrade to a size small enough not to notice, however, full bio-degradation depends on micro-organisms in the environment. The short answer is yes, it will eventually biodegrade, as everything does, but as a plastic, it takes a very very long time and would not fit the commonly held definition of biodegradable. Additionally, there is a production process which allows the plastic to degrade quicker called Oxo-Biodegradable, but ultimate bio-degradation is dependent on microorganisms and is a very slow process. I am doing some research, do you know how long it takes for a McDonald’s large soda cup to degrade? It really depends on what the cup is made of. If it is a wax covered paper cup, a lot can depend on the wax itself which is usually made from paraffin, a petroleum derived product. I would rate it similarly to the Starbucks paper cup listed above, with additional time dependent on wax penetration. 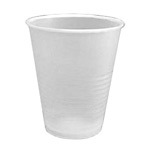 Most likely, it is a plastic lined as nearly all paper cups have a thin plastic (polyethylene) lining inside of them, which is to keep the cup from falling apart. This means that it would not be considered compostable, and would only break down into smaller plastic pieces over time. I hope that answers your question, Holli! How long does it take for Bio wash liquid to break down ? Can i pour it direct on the ground ? I’m not sure what you are referring to- the only thing I could find related to ‘Bio wash liquid’ was a laundry detergent made by Persil, and a farm fertilizer booster. Persil does not have a very environmentally friendly record (Environmental Working Group rated most of their products an ‘F’ – http://www.ewg.org/guides/brand/11746-Persil) which leads me to believe that they probably use many chemicals which are toxic or environmentally damaging. The fertilizer booster seems to consist of (they do not release much info on the ingredients) plant products, which in theory is all biodegradeable if not chemically altered. With ‘propriatary ingredient’ blends such as this in such a niche product, it is difficult to find any research or studies on or with this product. The product claims to be biodegradable and non-toxic, but I don’t see any actual certifications, so it may well be a Greenwashing marketing ploy. Hopefully that helps to answer your questions!